NEW! A super-light daily moisturizer designed to absorb quickly while offering just enough balanced emollience for oily or combination skin. 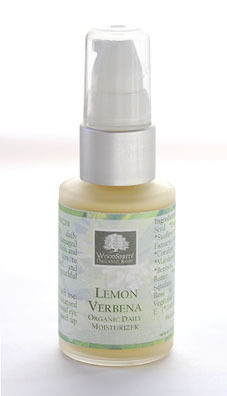 With soothing Lemon Verbena and Chamomile extracts, along with protective antioxidants from Organic Grapeseed Oil, Green Tea and Vitamins C & E, this refreshing moisturizer fights free radical damage while softening and toning the skin. Perfect for morning use and under makeup. To Use: Pump moisturizer onto fingertips and dab lightly over freshly cleansed face and neck, then gently sweep evenly over skin until fully absorbed. Earn 36 Loyalty Points when you buy this item!